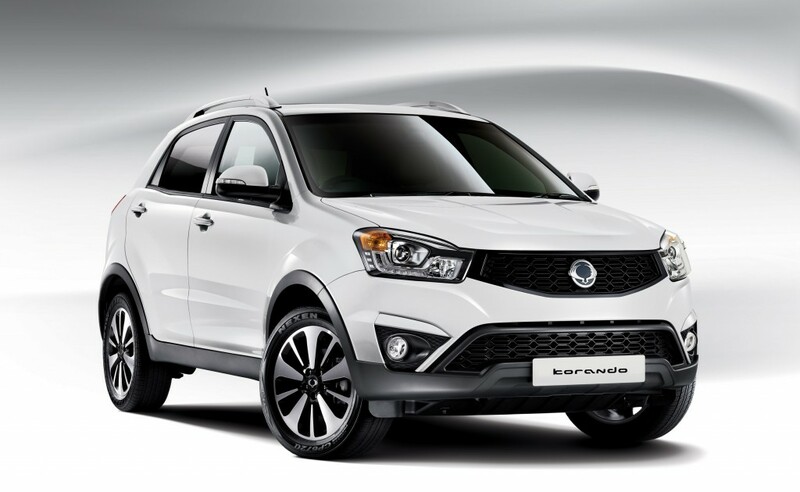 This month sees the launch of a brand new Ssangyong limited edition Korando LE which will feature all sorts of impressive features to what is already a well kitted out good value SUV. The limited edition Ssangyong Korando comes with a white paint job and diamond cut alloy wheels which are 18″, you also get some other luxurious features such as rear window privacy glass, rear parking censors, a rear spoiler, furthermore you get a fair bit inside; heated front seats, climate control and an automatic rear view dipping mirror. For this model you will be looking at a mere £16,695. The next offer is on the Korando ELX4 and it’s a pretty appealing one for any one who isn’t in to manual, as you can now get a free upgrade to 6-speed automatic transmission. In total this free automatic upgrade will save you £1,500, meaning overall it would cost you £19,995. Any Ssangyong Korando bought on PCP also comes baring a gift in the form of free servicing for the full 3 years of your contract, Ssangyong also promises high residuals. The free servicing offer will end on the 31st of March. CEO of SsangYong Motor UK, Paul Williams said: “We already have a considerable price advantage over the competition with every car in our range, and now with PCPs, guaranteed final values and free servicing, we can offer customers supreme value.” You cant argue with that.